Crafter's Choice LuxGlide N5 (Natural Cyclomethicone Alternative) and Crafter's Choice LuxGlide N350 (Natural Dimethicone Alternative) are new ECOcert, palm free emollients that can be used in place of silicones in hair and skin products. They’re readily biodegradable, created from sustainable resources, and suitable for vegans as they’re 100% vegetable derived. Let’s take a closer look at these esters to see what they’re all about! Both are composed of two compounds – Diheptyl Succinate (and) Capryloyl Glycerin/Sebacic Acid Copolymer – in differing proportions. 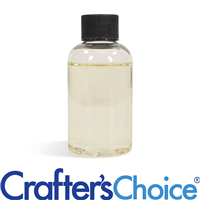 Crafter's Choice LuxGlide N5 contains 95– 98% diheptyl succinate and 2% to 5% capryloyl glycerin/sebacic acid copolymer with a viscosity of 5 cs, on par with cyclomethicone, only slightly thicker than water. It has great spreading properties and absorbs incredibly quickly with a matte finish. 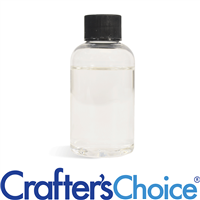 Crafter's Choice LuxGlide N350 contains 40% to 50% diheptyl succinate and 50% to 60% capryloyl glycerin/sebacic acid copolymer with a viscosity of 350 cs, like the most commonly sold dimethicone. It also has great spreading properties, but takes a little longer to absorb. Diheptyl succinate is a compound derived from castor oil and non-GMO wheat. It’s a palm-free, very light feeling, non-greasy emollient that can reduce tackiness and greasiness in any formula into which you could incorporate oils. It has what’s described as a silky, powdery, dry skin feel suitable for color cosmetics as it disperses pigments well, make-up primers, emulsions, and anhydrous or non-water containing products. Capryloyl glycerin/sebacic acid copolymer is derived from coconut and castor oil. It’s very good at wetting and dispersing pigments in color cosmetics, and works as a film former and polymer. It offers high shine to hair, so it’s a good choice when formulating hair care products, such as leave in or rinse off conditioners, hair oils and shine sprays. It has what’s called a “characteristic odor”, which is often what is said when something smells strongly, different than what you expected, or earthy. In this case, it’s described as a “plastic like odor” that goes away over time or could be masked by a fragrance or essential oil. We didn’t notice it in the N5 and it’s just barely there in the N350. As a result, both of these silicone replacements are light and non-greasy with a powdery, silky after feel. They have good to great spreading properties, which means you won’t have to rub your skin raw or drag them through your hair. The N350 offers more cushion than the N5 as it’s slightly more viscous, but offers less play time. They both have a one year shelf life. How can we use these awesome ingredients in our products? As they’re oil soluble, you can easily use them in place of any liquid oils, esters, or silicones in any of your favourite products by incorporating them into the heated phase of a lotion or cream. As an aside, in most emulsions, you can switch any oil for any oil and still create something great, but you may change the skin feel, viscosity, absorption rate, play time, and other properties, which isn’t a bad thing, just something to note. In the case of these silicone replacements, if you switch them for light to medium oils, you’ll notice your products will feel even lighter with fantastic slip and glide. In a facial moisturizer in which you might use 10% oils, using 5% of each will result in a decadently light, silky, matte product that offers a dewy look without clogging pores. 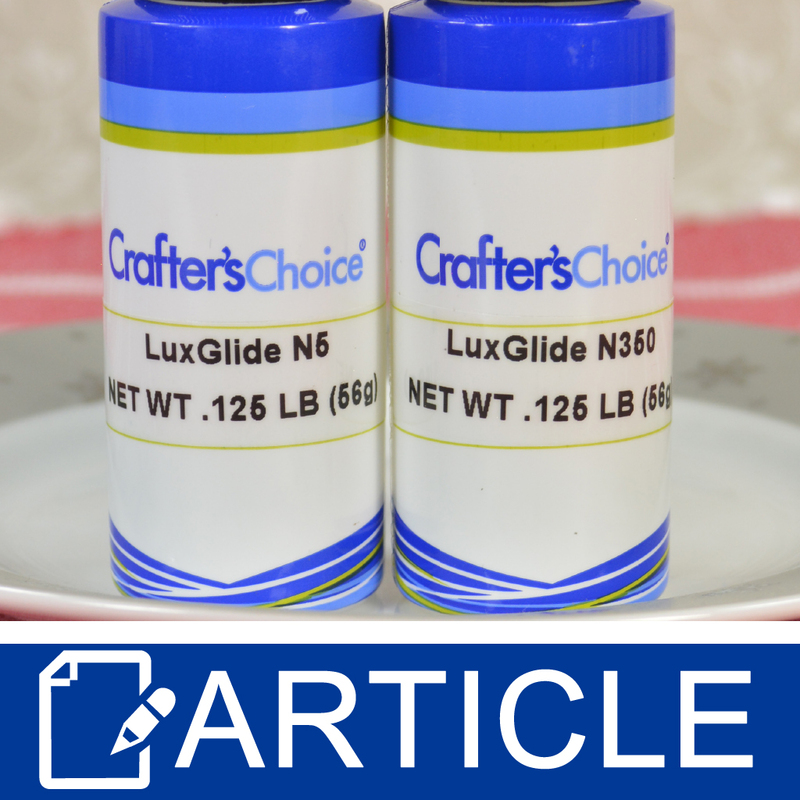 Crafter's Choice LuxGlide N5 (Natural Cyclomethicone Alternative) is a great addition to stick or roll-on deodorants, anti-perspirants, and anti-chafing products as it reduces tackiness, increases slip and glide, absorbs quickly, has a light, non-greasy skin feel with a matte finish. Use it at 5% to 30% in place of other emollients, like oils or esters, in your favourite lotion formulas to create everything from light, silky body butters to smooth, ultra-light facial moisturizers. It can be used in anhydrous body oils as a base or in place of heavier or more tacky oils, and it can make whipped butters feel lighter and less greasy. When creating products with waxes, like lip balm or lotion bars, this one should be your first choice as it reduces the feeling of tackiness from those ingredients, thus increasing slip and glide. Try it at 5% to 30% in place of another oil. 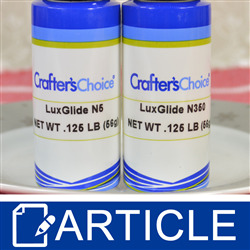 Crafter's Choice LuxGlide N350 (Natural Dimethicone Alternative) can also be used at 5% to 30% in place of other emollients in emulsified or anhydrous products. If used alone in hair care products, it can increase shine and film form to reduce frizzies. Dimethicone is often used in emulsions to reduce the soaping effect or those white streaks that appear when you rub the lotion into your skin. Crafter's Choice LuxGlide N350 could help reduce this effect, if you’re using emulsifiers known to have this issue, like stearate or oleate based, or one using stearic acid - triethanolamine to create an alkaline soap. In hair and beard care products, a combination of the two can be used to reduce frizz, increase shine, form films, and moisturize. Although they can be used in rinse off conditioners, I’d save them for leave in or shine enhancing products starting at up to 5% in the heated oil phase, if there is one. A combination of the two is great as a base for anhydrous products, too. You can use either or both in lip balms or other color cosmetics like foundations or primers to wet and disperse pigments, like micas, lakes, oxides, and other lip, eyes, and face safe colorants. Used alone or together, in anhydrous products or emulsions, these silicone replacements can help you formulate natural products without sacrificing the properties you’ve come to love from cyclomethicone or dimethicone.